This picture is priceless! She just jumps her sweet little self until she's to pooped to pop. I love it, great picture sweetheart. We had that same jumperoo, but it was a rare day when our little guy would fall asleep in it. He wore that thing to the ground! LOL. These are the sweet moments of life. Enjoy Mama! loooooove!!! 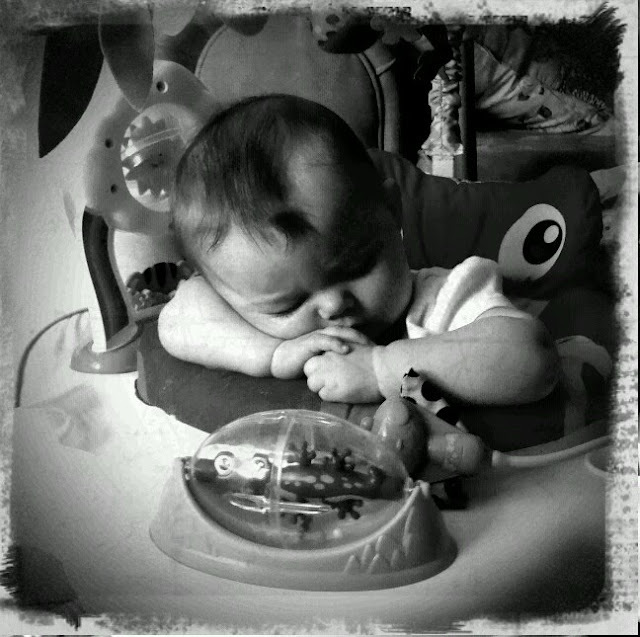 brady never fell asleep anywhere (high chair, bouncer, etc.) and it makes me sad cuz i never got freakin CUTE pics like this!! Put that on a necklace. Heart melting.